RCS Doors’ Managing Director, Steven Kenny, is swapping his comfy(ish) office chair for a not so comfy bicycle seat for 9 straight days. With RCS’ busiest financial year to date now behind us, Steven is looking for a different financial challenge; not for personal gain or business development, but this time for charity. Steven (pictured) is taking on the grooling ‘LEJOG’ 976mile/1570km bike ride on the 20th June in a bid to raise £1000 for Derian House. The ride sees challengers start from Land’s End (the foot of England) all the way up to John O’Groats (the tip of Scotland). The ride is split into 9, consecutive, daily stages each over 100mile/160km, with daily climbs of up to 7,000ft. This iconic ride covers some of Britain’s most famous and beautiful landscapes, all of which will be shared across RCS’ social channels throughout the challenge. A JustGiving, fundraising page has been set up which allows you to easily donate to this fantastic cause: www.justgiving.com/fundraising/rcs-doors. ‘Situated in the heart of Lancashire, Derian House provides palliative, specialist respite and end of life care for children and young adults’. Derian’s personal goal for the year is to reach £3.85million to continue meeting the needs of children and families. 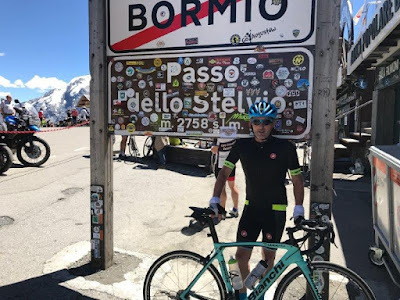 RCS is committed to contributing to this goal and as a thank you to supporters of Steven’s LEJOG challenge, the North West-based manufacturer will be giving away a bottle of Veuve Cliquot champagne to 2 donators. There will be no minimum donation to be included in this prize draw (every little helps) - just be sure to leave your name and company name in your donation message.